Chiropractic care is a drug-free, non-surgical therapy that treats back, sciatic and neck pain, headaches, joint pain, osteoarthritis, carpel tunnel, sprains, and spinal disc conditions. 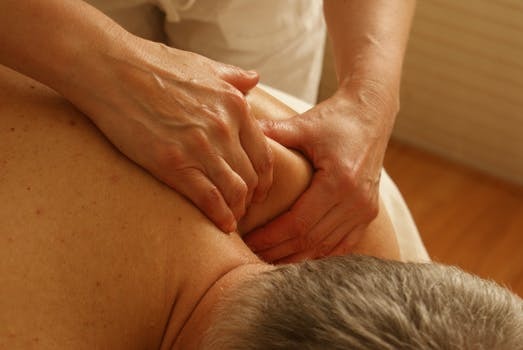 This is achieved through activities such as spinal manipulation, alignment correction, electrical stimulation, rehabilitation exercises, relaxation techniques, and joint mobilization. Chiropractic doctors are not limited to treating neuromusculoskeletal disorders, however. They can also alleviate symptoms caused by allergies, asthma, and digestive orders, and counsel patients on exercise, nutrition and diet. What is the History of Chiropractic Care? Modern chiropractic care can be credited to Canadian-born magnetic healer Daniel David Palmer. In 1895, Harvey Lillard, a janitor in the building where Palmer worked, explained that he’d gone deaf seventeen years prior after bending over and feeling a “pop” in his back. After examining Lillard’s upper back, Palmer found a problem with one of the vertebra. He manipulated the janitor’s back in a procedure now known as a chiropractic adjustment, and restored much of the janitor’s hearing. In 1897, Palmer established the Palmer School of Cure, now known as the Palmer College of Chiropractic in Davenport, Iowa. Chiropractic care continues to use spinal manipulation to treat subluxations. It’s gained wide acceptance from the medical community throughout the U.S. and many parts of the world to be a safe and effective treatment for back pain and musculoskeletal disorders. Chiropractic treatment is a safer alternative to opioid-based painkillers for chronic lower back pain. Who is Qualified To Treat Patients in Need of Chiropractic Treatment? In order to treat patients under chiropractic care in the U.S., an individual needs to complete a Doctor of Chiropractic degree program from a CCE-accredited college and pass a national board exam. The college curriculum carries a minimum of 4,200 hours of classroom, lab, and clinical experience. Most states require chiropractors to continue receiving education credits in order to maintain their license. The side effects of chiropractic care include minor discomfort such as soreness, headaches, stiffness, and aching, all which typically fade within 24 hours. Rare reports of stroke, cauda equine syndrome (pinched nerves in the spinal canal), and worsening of herniated discs have been recorded, however it’s unsubstantiated that chiropractic treatment is the cause.